Posted by Dann Berg on September 12, 2011 . Leave a comment. A decade later, the United States is still trying to rebuild after the attacks on September 11th. How does this compare to Japan’s recovery, just 6 months after the earthquake/tsunami? 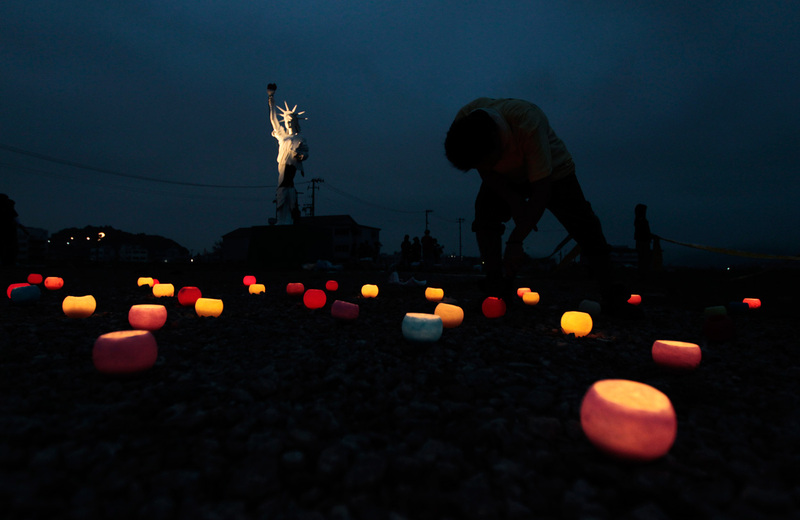 I was looking through these absolutely stunning photographs from The Atlantic‘s post entitled “Japan Earthquake: Six Months Later.” I am amazed by the amount of cleanup that has been accomplished in such a short amount of time. One photograph stood out among the rest. Yesterday, we mourned the 10th anniversary of the September 11th attacks. It has taken us a decade to clear the rubble and begin the rebuilding process. There have been countless delays, contract holdups, and other drama. From lawsuits over religious decorations to numerous cases of mesothelioma from asbestos exposure to both first responders as well as those employed to clear the rubble post-collapse. Across the nation, American offices are filled with people pretending to work. Congress votes on bills that have gone unread. Books like The 4-Hour Workweek top for best seller lists. Troops are still in Iraq despite campaign promises of a withdrawal. The list goes on. We’re trying our hardest to look busy while not doing anything at all. So, no, I wasn’t surprised when I read that it wouldn’t even be feasible to make the Amazon Kindle in the United States. We have trouble doing much of anything these days. Watching Japan recovering so quickly only magnifies our own issues. There was a time when the United States could do anything. How can we get back there?